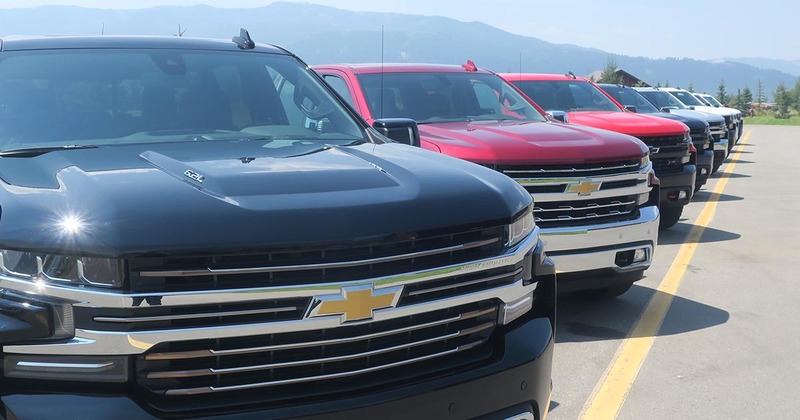 With over 100 years of experience in manufacturing automobiles Chevrolet, makers of the “longest-lasting full-size pickups on the road” introduced the 2019 Silverado Pickup Truck to a media event in Jackson, WY. One of the highlights was the new Chevy Silverado Trail Boss for 2019. I took the opportunity to drive the truck up and over a mountain pass, across state lines, through the mud, over rocks and logs and most importantly spent a good bit of time trailering to find out if the 2019 Chevy Silverado Pickup Truck could hold it’s own in rugged terrain the Tetons is known to offer. The 2019 Chevy Silverado is lighter, faster and gets better gas mileage than it’s predecessor. Starting with the weight Chevrolet was able to shed 450 lb on the 2019 version which gives the truck a little more boost. From 0-60 the Silverado is now 1/2 second faster. 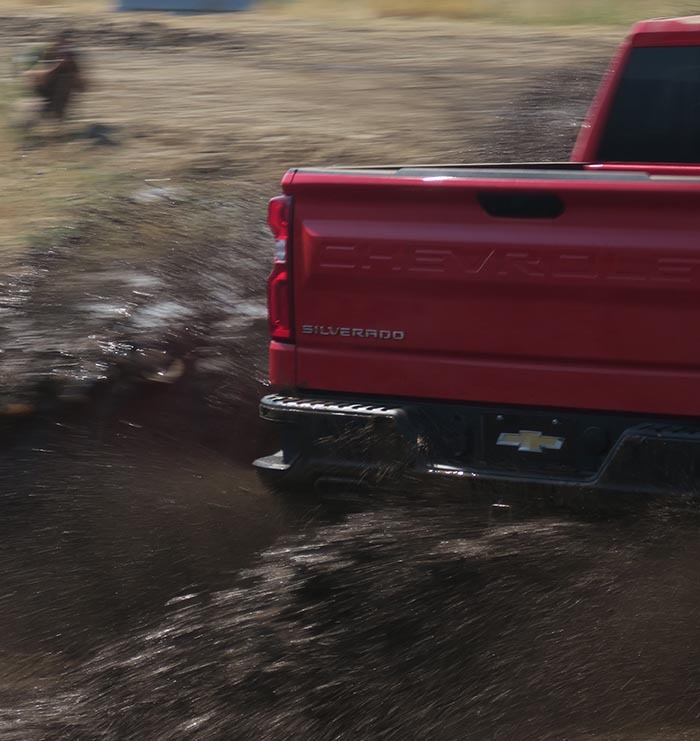 Yet the truck is able to offer 5% better mpg while driving in the city thanks to the Dynamic Fuel Management System which is standard on all 2019 Silverado Engines including the 5.3L V8 and 6.2L V8 engines. I took the 2019 Silverado LT turbocharged 2.7-liter 4-cylinder on a test drive through Wyoming and Idaho to the top of Teton Pass, at an elevation of 8,431ft above sea level. Leaving the town of Wilson, Wyoming at an elevation of 6,148ft the truck purred up the steep mountain pass with zero hesitation. At times the grade of the highway is 10% which will test any engine on the market. The turbocharged 2.7-liter 4-cylinder engine on the LT changed this year from the standard 4.3-liter V6. The 2.7-liter 4-cylinder LT comes with 310 horsepower and 348 lb-ft of torque with an 8-speed automatic transmission whereas the 4.3-liter V6 offers 285 horsepower and 305 lb-ft of torque. There is also an optional 355-horsepower 5.3-liter V8 8-speed automatic and the 420-horsepower 6.2-liter V8 with a 10-speed automatic. 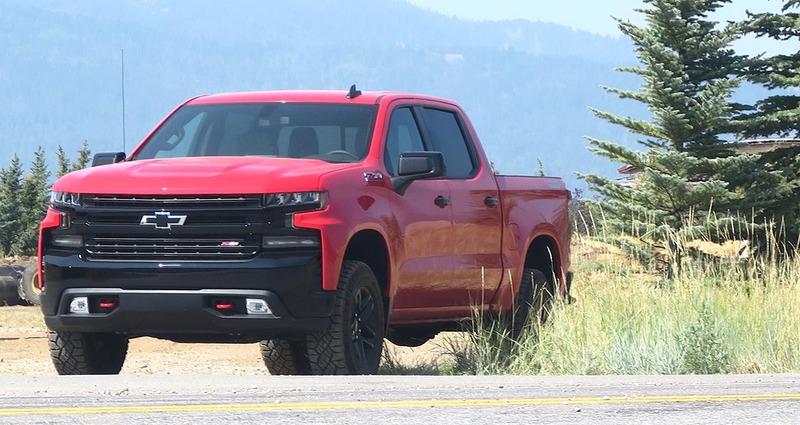 If the 2019 Silverado can drive over high mountain passes in the Tetons with ease, it will surely perform as well if not better anywhere you may find yourself driving. Driving on the highway was nice and smooth, which is to be expected out of a 2019 truck. But what about the offroad capabilities of the Silverado? 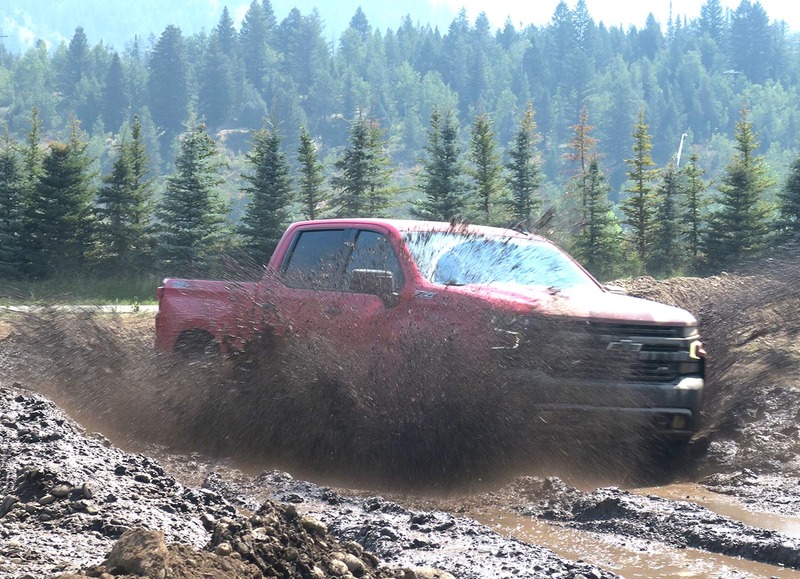 Chevy took things up a notch by creating a course to test drive the trucks, chocked full of rocks, steep hills, mud, logs and just about any other no paved surface you may find while offroading. 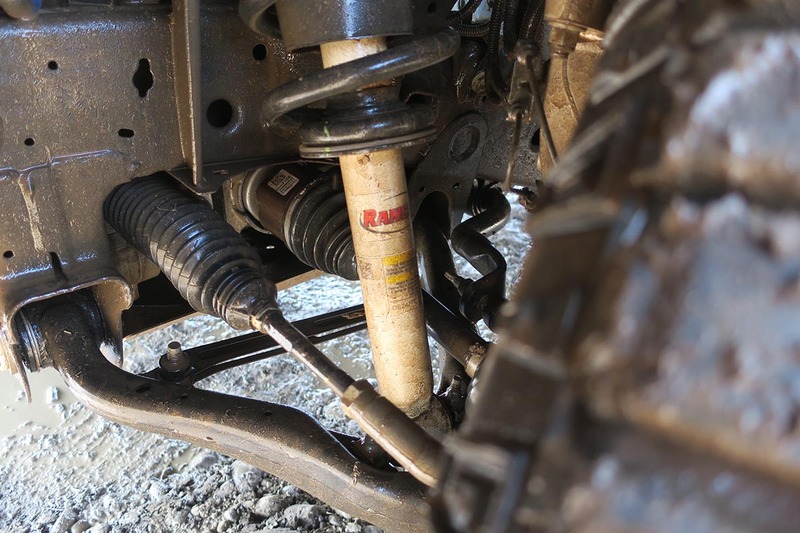 Out off all the cool features and obstacles we tested the Powertrain Grade Braking System stood out the most. 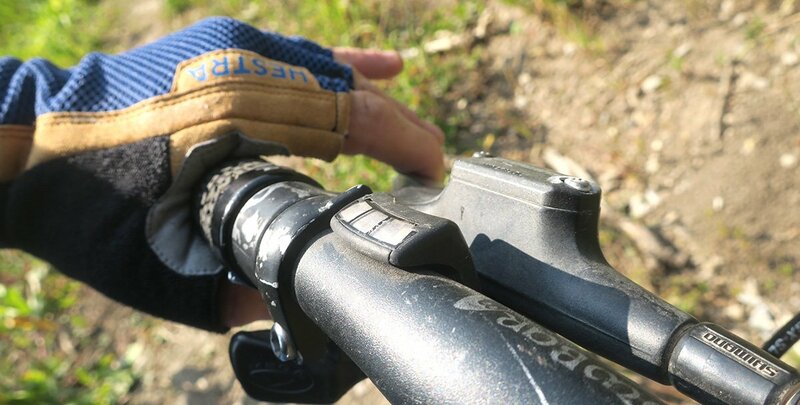 This unique tool allows you to take your foot off the brake while going down a steep slope, essentially crawling down the hill. The Powertrain Grade Braking System will most likely be used the majority of the time for off-roading, which makes us believe this feature could also be used in the winter months while going down a steep icy driveway. 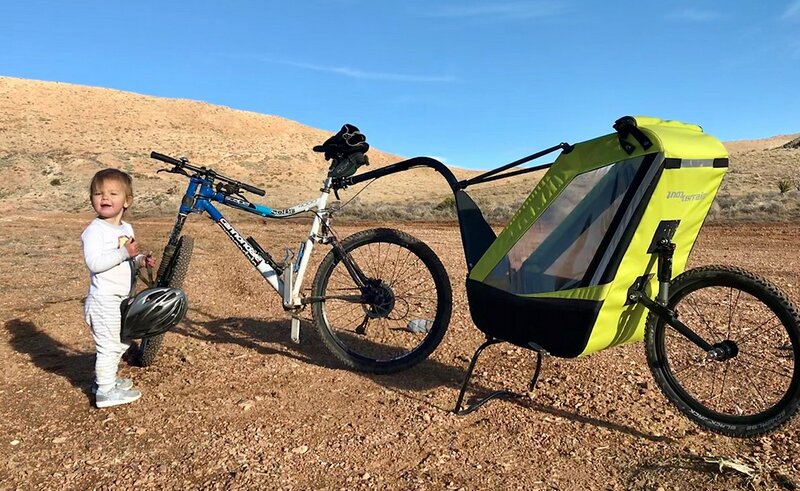 Looking for more room out of your truck? If so the Silverado is for you, especially if you routinely drive co-workers around in the back seat, the 2019 Chevy Silverado Interior in the rear features an additional 3-inches of legroom. I jumped in the back seat to see if the Silverado was really as roomy as Chevy claimed. At 5’11 I had more than enough room to stretch my legs out, even when the driver’s seat was pushed back. 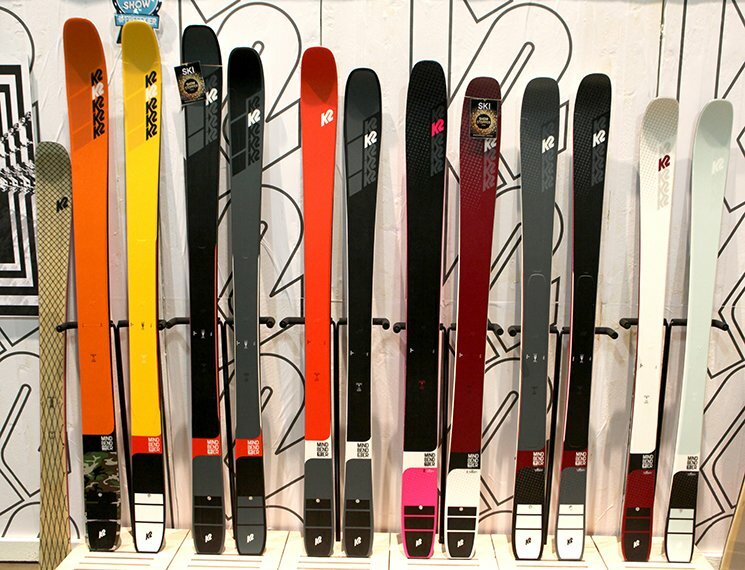 Looking to take your family on vacation, perhaps trailering some of your favorite toys? The roominess and towing capabilities of the 2019 Chevrolet Silverado are definitely worth seeing in person. Now for what all the fuss is truly about when it comes to the 2019 Silverado Pickup Truck. 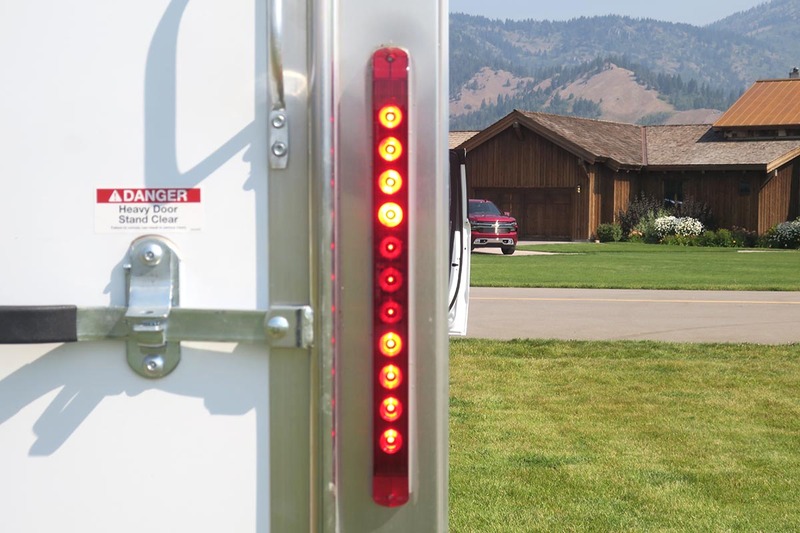 Up to 5 trailer profiles can be programmed into the truck, making the Silverado a must have for anyone with lots of trailers and toys to go along. The truck has the ability to add up to 4 trailering cameras which can be viewed via a 3 x 7 Heads-Up Display and Rear-Camera Mirror. 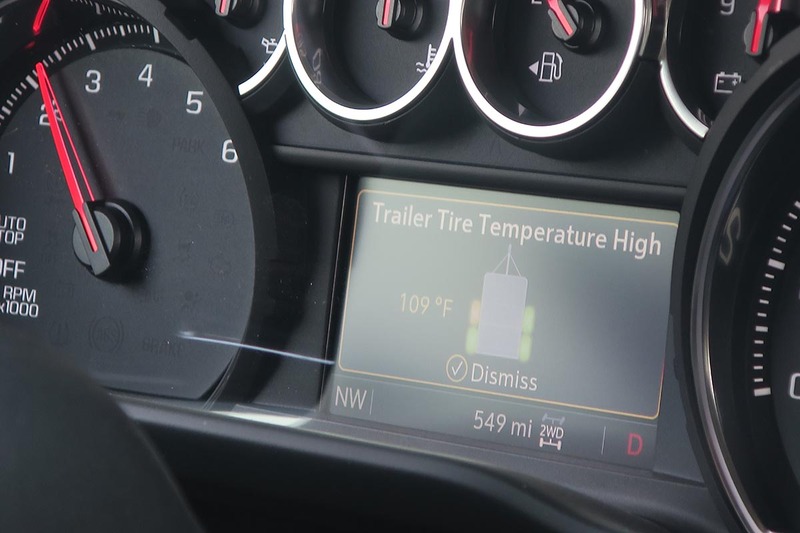 The features that stood out the most with the Advanced Towing Package for 2019 were the Trailer Tire Pressure Monitoring App, Trailer Light Test and Hitch Guidance with Hitch View all of which come standard from the factory on the LTZ and 2019 Chevy Silverado High Country models, and are available on LT, RST and LT Trail Boss as an additional addon. For 2019, the Silverado High Country and LTZ models come built with 2 side view cameras, 1 hitch camera and the ability to add a 4th additional accessory camera. All these cameras make it that much easier to hitch a trailer to the truck. Let’s not forget about the back of the pickup bed, even with all the great towing capabilities. The 2019 Silverado models offer 20% more cargo room, in a very spacious bed while utilizing a higher strength steel construction. The steps on the back corners of the 2019 Chevy Silverado Tailgate have even been re-designed to accommodate a full-size work boot which makes us think Chevy has been listening to their customers wants and needs. Is the tailgate on your truck heavy to lift? Not with this truck, especially if you’re using the electric Power up/down tailgate. 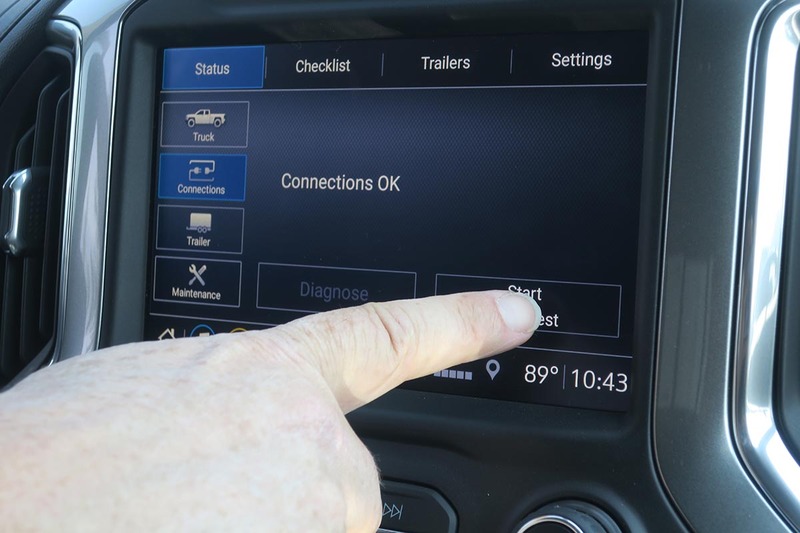 Which is just another one of the many conveniences found on the Silverado models for 2019. The 2019 Chevy Silverado has 8 models to choose from affordable Work Truck to luxurious 2019 Chevy Silverado High Country along with 6 engine/transmission combinations, and even the ability to have a two-inch lifted suspension built from the factory. Perhaps you’re looking for a truck to drive to the job site, or maybe you want something to tow your camper behind, regardless of your needs the highly versatile 2019 Chevrolet Silverado has you covered. Our test-drive took place in August 2018, with temperatures in the mid-80’s. The trucks performed well even when pushing up and over the mountain passes on warm days. Most likely the Chevy Silverado would perform the same in the winter months. However, TBD how this truck actually handles in the snow. Go out and test drive one of the 2019 Silverados, and you just may find a new truck parked in front of your house in the days to follow. You have been warned. Did you get to tow the heli? The Helicopter was being towed by the 2019 Chevrolet Silverado 3500HD High Country. It’s a pretty badass, I opted for the off-road course and ended up towing a “standard” toy trailer later in the day.